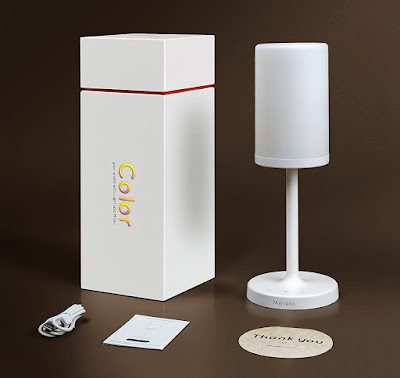 I absolutely love when I find a product that is awesome to tell my readers about, and this is one of them, Marrado Table Lamp + Bluetooth Speaker. There are so many really cool features about this lamp. First let me tell you about the light. The bulb is LED. There is an unbelievable variety of choices. There's 4 brightness levels in soft white light, or you can choose to set the lamp to stay on a certain color, or you can select color change mode. The RGB color changing mode supports full color display of 16,000,000 colors. All of these choices can be made by simply laying your finger on the touch sensitive panel to browse and make your selection. As a matter of fact , all the controls are touch sensitive on the base of the lamp. 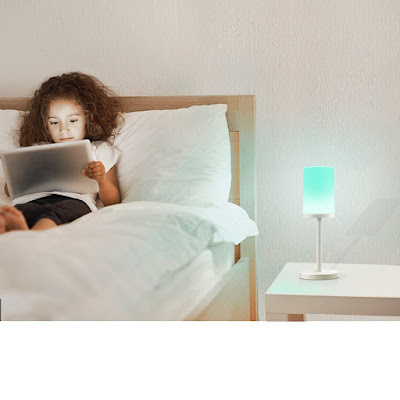 All levels of this lamp are eye friendly, comfortable lighting. Next I want to tell you about the bluetooth feature of this lamp. First let me say it pairs easily and quickly to your device. Secondly let me say I was shocked at the sound that comes from this lamp. It has such a big sound! This lamp weighs 2.2 lbs, it just amazed me that that kind of sound could come from it. You need to hear it for yourself to believe it. 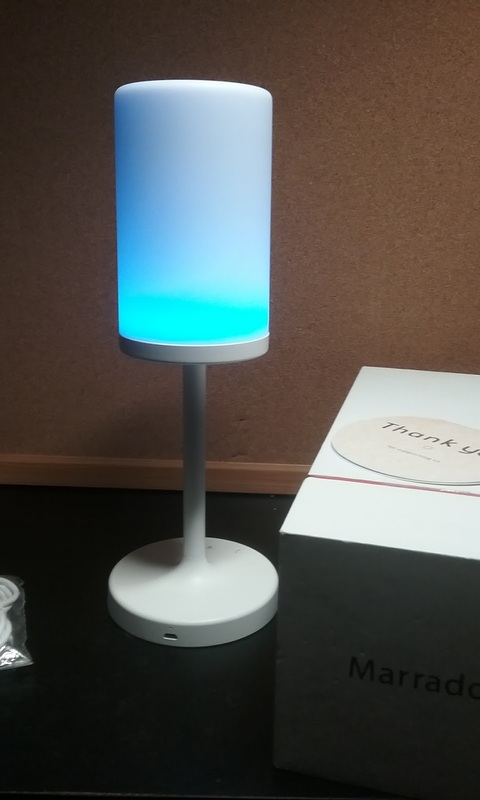 The bluetooth lamp uses a USB charger ( which is included) to recharge, making this lamp very portable. You can use it on the porch to read at night, use it as a bedside lamp. I think it would be great for a nursery to lull your baby to sleep with it's favorite lullabies. You can really use it anywhere you go. 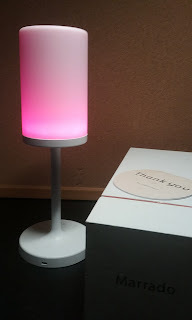 I have read reviews about hi-tech lamp with touch sync, so it can be an awesome long distance relationship gift for a loved one. he quantity rather than the quality is effective in the therapy of seasonal affective disorder test.